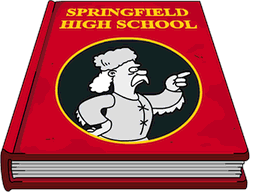 They tried to sell it as, “Springfield needs more stadiums,” but it has almost nothing to do with the Isotopes, “Homer at Bat,” or for that matter baseball. Except for the quest-line…which you may have noticed, has NO outside tasks in it…no new animations…and is pretty much just a lame diversion from the fact that there is so much “meh” about this…that real words, on a family site, fail me. Yes…there was a “glitch” (or a weird backhand boost) for those who give a hoot about Bonus XP (yes, Charles…we know who you are). Actually, most of us do at this point. So, like most of you, I bought a crap-ton of tennis courts, and boosted my XP Bonus by 70% or more on the first day. I am continuing to “mine for trophies” while it is still being offered. But, my heart really isn’t in it. There is one obvious drawback to this early “Easter Egg.” You actually have to place the crap-ton of tennis courts in your town. They are big, compared to the billboards or TV vans most people use to boost % from the Mystery Box. I didn’t even try. I already had a few tennis courts in my town. No town, as unsophisticated as Springfield needs more tennis courts than prisons. And yes…we have a crap-ton of prisons too. So, I just used a bit of my random land, and made a “Tennis Court Peninsula.” Far away from anything I look at regularly. It’s really little more than an XP dumping ground. I may try to get creative with it later. But, as I said…my heart isn’t in it right now. I was elated…until I remembered a minor detail. It has long been a thorn in the sides of all of us who actually enjoy the creative aspects of designing in TSTO, that you can’t turn items like buildings and decorations a full 360 degrees. For the most part, you just design around it, knowing that all of your buildings are just going to have a Southern or Western exposure. 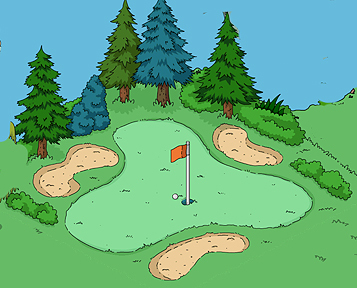 But, when you are designing a golf course…and your “holes” only rotate, a tweak one way or another, with the approach pretty much being the same…it makes it very difficult to make your course realistic, and playable. As you can see…the “options” really aren’t much of a change, in regards to how one would approach the green. Mostly…the trees and shrubs just move. 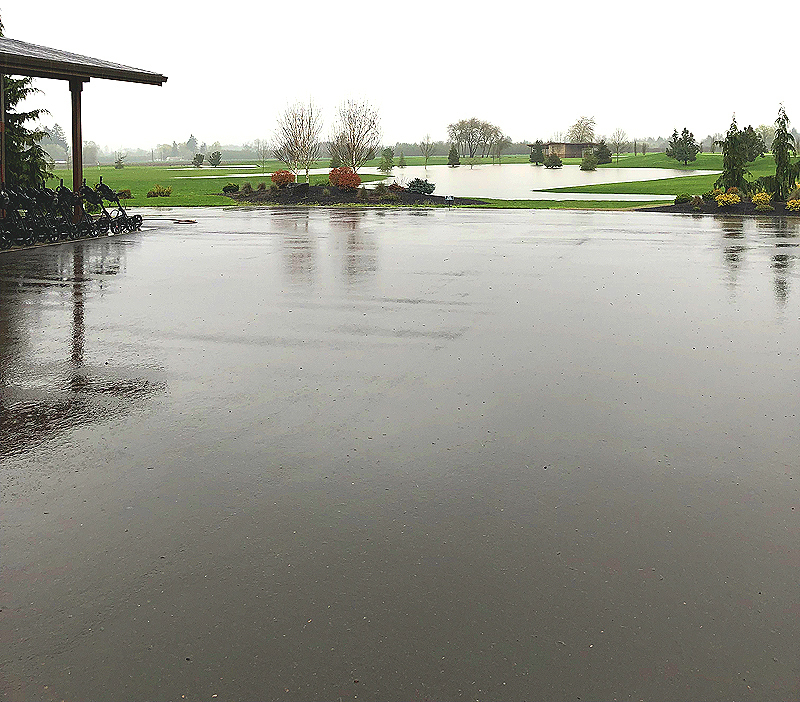 As I started to replace my “imaginary” greens and pins, I was challenged to make the holes different…and then, I was challenged to make a handful of holes on my course, even remotely playable. It works OK for a handful of holes, for which that kind of an approach could work. But clearly, for any hole being approached from the “East” (right side of screen) it is going to be a problem. As you can see…I will have to do some SERIOUS redesigning, to make the limitation of the hole design work. 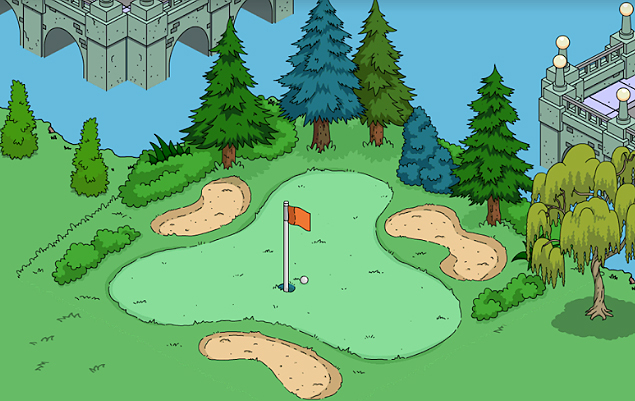 And, while I’m at it, I want to appreciate the fact that EA even has the “golf course” as an option. However…it isn’t a “course,” it is a single hole. And…because of the design (which looks pretty the first couple of times) it is very hard to use correctly, to get an approach around the trees that are a permanent part of the design. The EAsy solution, would/should have been, to just make the holes stand alone…with no landscaping. This would allow for an approach from any side of the green. And while I’m on a gripe-grind, this also means I am going to be stuck with a crap-ton of random other stuff from the bundle. This is after my first four bundle acquisitions. Holes placed… storage clutter starting. But, will it all stop me from playing?? Who knows? Probably not even John…which is why he doesn’t write anymore. Will EA make me eat my words? I’m ready to do so, if there is some giant update in the near future. But, for now…between delays, half-baked updates, and updates that aren’t updates…The “Meh’s” are winning. Yes. For the most part, I have. I truly hope EA gets off of their collective patoots to pull TSTO out of the dumper. But, TSTO is a small part of my real life. The REAL reason I’m cranky, is because I was finally done with our huge Rotary Fundraiser, and all I had planned for this week was getting back to playing golf. After months of being indoors…and on my keester in front of a computer monitor, this was going to be my “Back to Normal” week!! But…no. Mother Nature and the extreme weather that seems to be becoming the “norm” these days had something to say about it. I think this picture from the patio next to the country club speaks for itself. Our entire region has been hit with record rain and flooding. Ugh. No golf today. Real no-golf insult to virtual golf course insult to severelyinneedofabreakoldguy. The forecast is for sun tomorrow. We’ll see…. 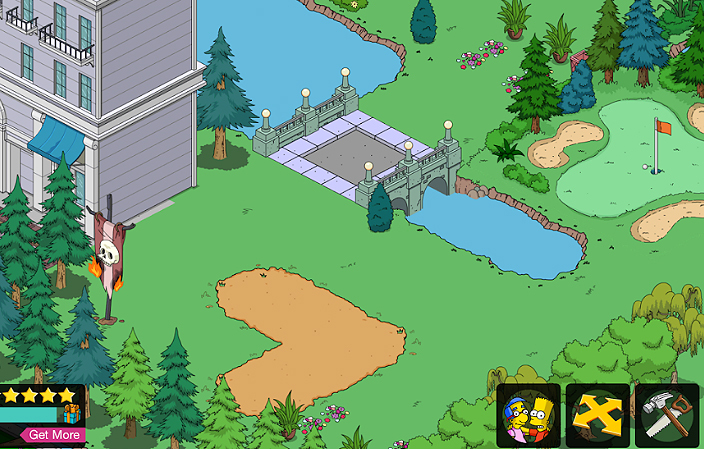 This entry was posted in Friday Filler, Tapped Out and tagged CrankyOldGuy, CrankyOldPatric, Electronic Arts, Tapped Out Tips and Tricks, The Simpsons, The Simpsons Tapped Out, TSTO, TSTO Addicts, TSTO Community, TSTO Golf Course, TSTO Homer at the Bat, TSTO Tips & Tricks, TSTO Tips and Tricks, TSTO Update. Bookmark the permalink. I picked up a golf ‘hole’ through the yearbook to avoid the obstacle clutter! I liked getting Softball Burns and the questline associated with it, but I didn’t buy any of the offerings. 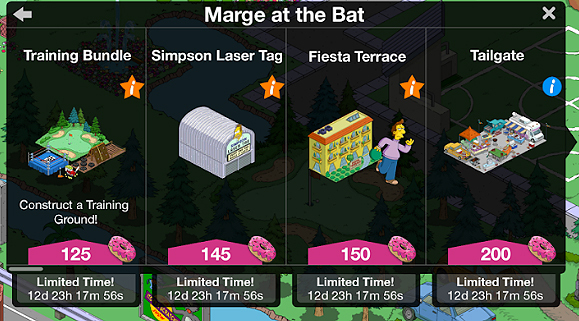 I did manage to get Sarah Wiggum for 30 donuts, though! I’m also a little sad because my Tap Ball stadium is usually in it’s clay skin to align more with the Isotope stadium in my hometown of Albuquerque but if I do that, the bleachers I just bought for my hockey rink don’t match. 1st – truly enjoy the new TSTO Banner (I know it’s been up there for a week, I just wanted to show my appreciation) and taking weekends off from tapping has been a blessing (no burn out). 2nd – Patric is spot on regarding so many things involving this (well I can’t call it an Event, just a time waster for Noobs and more free time for me to earn 🍩’s, one of the best Simpsons episodes and TSTO blew it with even trying to do an Event) transition of ownership for The Simpson’s (I honestly thought Team Disney Burbank would sell it off to Comcast Universal to help recover that 71 billion spent on Fox and gain backs the rights to Marvel in Florida asap). Disney + means FX / FXX will probably be the future home for syndicated episodes of Family Guy, American Dad, Bob’s Burgers, Archer and chances are this more adult fare will go to Hulu (The Simpsons heading to Disney + means a lot of Simpsons fans will definitely invest in it). 3rd – Team Disney Burbank owns LucasFilms / Star Wars, EA is licensed to develop games for Star Wars intellectual property (mobile, console, PC). Rumour has it that Team Disney Burbank is bringing back Lucas Arts (currently hiring personnel) in order to develop future games from LucasFilms intellectual property (Star Wars, Indiana Jones, etc) once that contract with EA ends. It appears Disney and Fox have a lot in common (in-house animation, licensed out gaming), but I think they’re beginning to learn from Warner Bros (in-house animation, in-house gaming, dvd-r on demand film archives, various on-demand apps / channels). Off Topic – Heaven only knows if Paramount / Viacom \ CBS can learn from this (and heaven help anyone working at any of these three). The future of our entertainment is changing, we may or may not have a TSTO (we may have a new Game App replace it, as I don’t think Disney would be foolish enough to throw away a cash earner). I got Baseball Jasper and the whole storyline just stopped. I already have Referee Homer, so won’t lose out at all, but it does seem strange. Yeah tons of server issues here too. I’m harvesting a lot of tennis courts, but I’m going to do what Ebron does and bring them out only when doing KEM farming. If it weren’t for the yearbook, I’d be totally bored with the game. But with all the new stuff I got from the yearbook, it will take me months to digest it all, so no worries, I’m just going to enjoy the game for as long as it lasts. My prediction: at the end of 2019, they will announce that there will be no new events, and that the game will shut down at the end of 2021. And your prediction sounds pretty optimistic to me. The recent state of the game doesn’t tell me EA’s got enough stuff till the end of the year. And I SERIOUSLY doubt they would announce the end two years in advance. If players knew this game was gonna end, the probability that they might invest money into it would decrease drastically. True. But they will give a lot of advance notice before shutting things down. Recycled, minimal effort events in 2019, no events in 2020, and shutdown of the store at end of 2020, full shutdown of servers at end of 2021. It’s a shame they don’t do more tie in events with current Simpsons episodes. Haven’t heard about the mansion glitch? Thanks for this post Patric. I agree on the EALPish update, the “0 new content” part is, well… new. First of all..I am mining Tennis courts like a mad man. Why in the world wouldn’t you!!!? Or get tired of it..Madness I say! 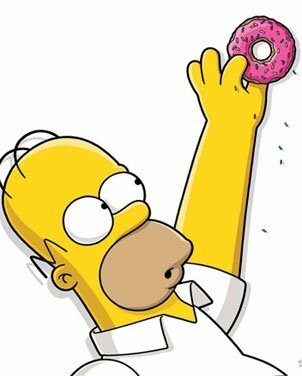 To hell with mystery boxes..I’m up 300 percent so far, no donuts. Secondly I “can’t” feel your pain Patric. Still sorry your course is flooded.. I haven’t been able to golf since October 2018. My Favorite course and others still covered in slush. Middle of May hopefully. Well…..hate to burst your boo bubble… I PLAYED 18 TODAY! Whoooohooo! Our course drains very well..only a bit of standing water ona coup,e of holes. But g Rena aeere great…fairways great…just the driving range still has some water on it. Didn’t okay great (87)… but I played! Hehehehe! I had no idea that I could be filled with more Meh, than I already was, but this minor attempt from EA accomplished it. I think that I may be at my Meh capacity. I may well be in the minority, but I like this update! Sure, I’d love a storyline that more closely mirrors Homer at the Bat (absolutely in my top 5 fave episodes), but I’m game for a new take (and so far the dialogue has been pretty great!) I like that this is formatted like the level updates of old, which we haven’t seen for years. Events that have us send the same characters on the same tasks for days on end with days between dialogue grow boring pretty quickly. I’m happy for a break from that. So… yes. You are in the minority. But, that’s OK.
I’ve stashed my tennis courts and general percentage boosting tat behind the myriad of classic mansions I have along the Eastern most edges of my town. I just put a couple behind my Safari Casino. I wonder how many can hide behind Costingtons? I think you should work the training wire and boxing rings into your golf course. 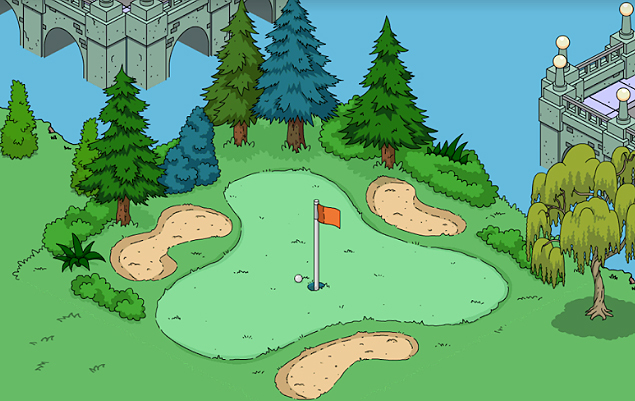 Why not turn it into an American Springfieldian Warrior golf course of death? (Sprinkle in some spooky trees for the death party). That’ll spice up the geography! Just finished a round of real golf… and it kinda felt like the “death party” you were talking about. Long layoff killed my short game. And a question: what exactly does EALP mean? OK. To be precise… it’s actually EA Lazyass Programming. IIRC – Some if not all of those training items should also have bonus % as well. They’ll look good hiding on your tennis court peninsula. Hmmm…I’ll have to look. Not sure that is true…but I can add to the peninsula. Like you, I am already tired of “mining” tennis courts. Too easy? But I had a lot of clay tennis courts which I am replacing. 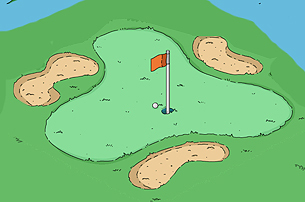 I just finished the lay out of my nine-hole course in my Alpha game. I am using the T-ball stand as my place to tee-off. 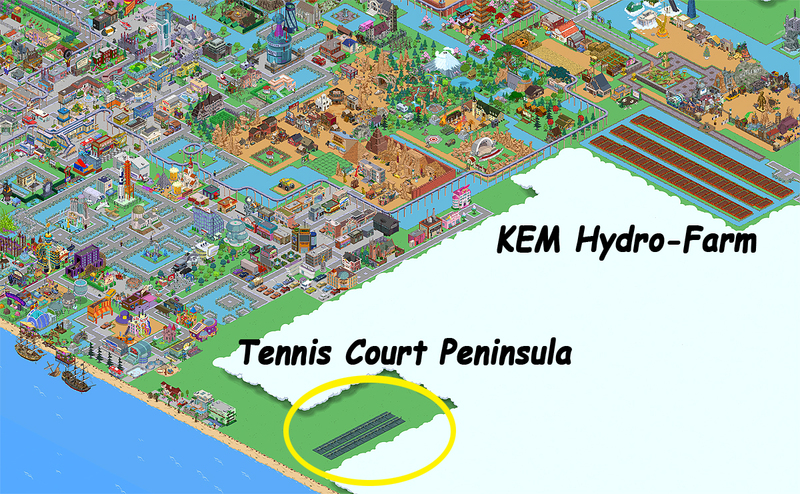 Since I now have an abundance of tennis courts, I storing the SH buildings that don’t yet go with my design. Don’t know yet what to to with all the boxing rings. I haven’t thought of what to do with a second stadium. Maybe one of the high schools will have one. In our city we have a couple of high schools that share a huge one. I had a feeling with springtime coming we were due for something sports related and I picked up the basketball stadium in the Yearbook box so even though it pained me, I packed up my beloved Cthulhu theme park and other Halloween style items into inventory for an eventual Transylvania transformation to expand my sports related area. I moved my High School there too. I had a feeling too. 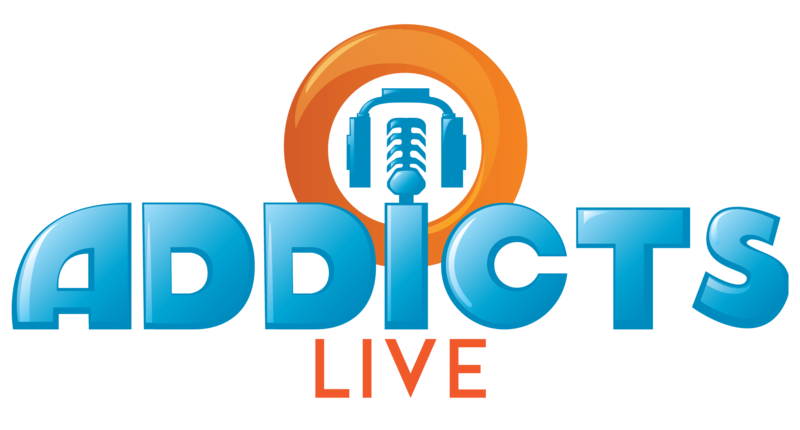 In the last Addicts Live, I predicted something baseball related. I also previously predicted Judge Harm on the previous Addicts Live. Stop stealing my ideas EA!! !